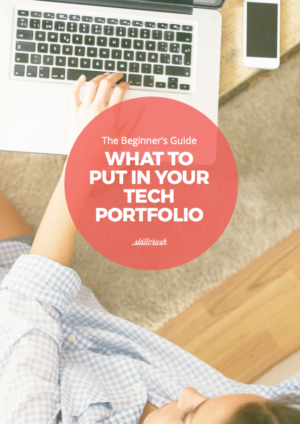 Last week, we discussed the elements that make up a great web design portfolio (and what an important part portfolios play in starting a web design career). 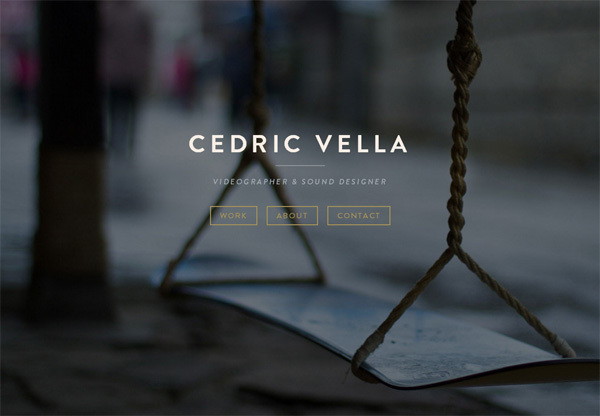 Cedric’s portfolio incorporates gorgeous photography and is easy to navigate. 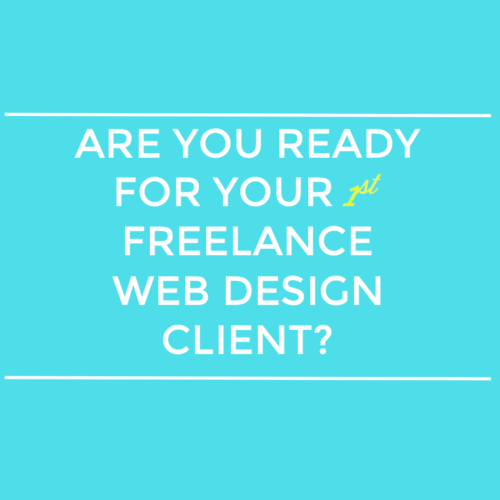 He includes a sticky navigation, and the call to action (to contact him for work) is clear throughout. The full screen layout draws the user in with an immersive, full-screen display. This strong visual imagery makes a statement while keeping the user interface (UI) intuitive and easy to use. 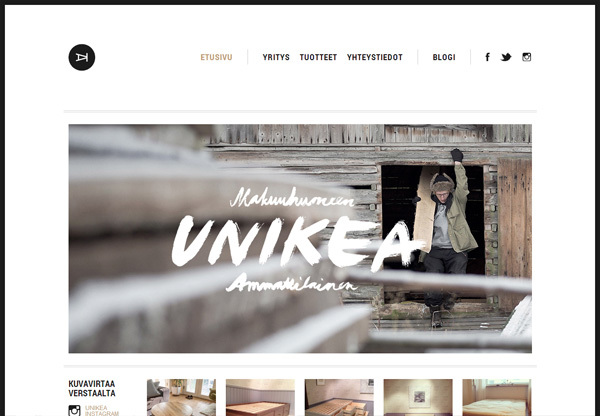 Next is this beautiful design portfolio website from Unikea. Your eye is immediately drawn to this portfolio. The use of white space shows off the work clearly and is also user friendly. This portfolio shows a great use of typography, and as you scroll over the top navigation, the tabs change color to highlight the text. This portfolio uses color in a bold and exciting way. The artist changes the color of the background based on the project. The table of contents navigation is also well structured and creative. 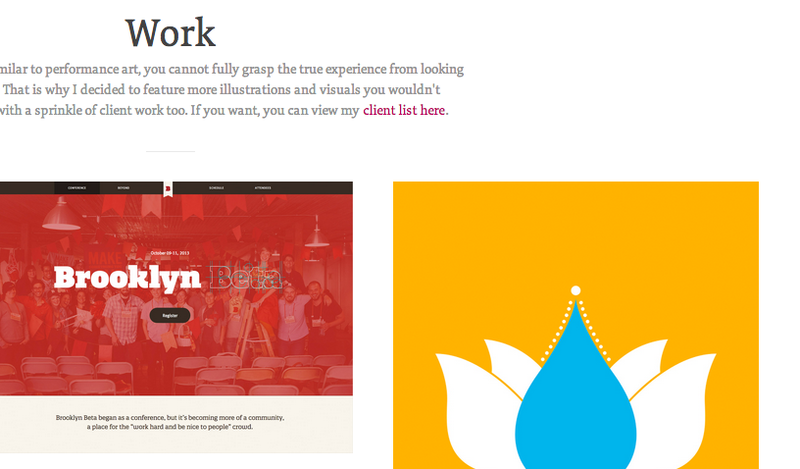 Try clicking through the “about” section to gather inspiration for your own design portfolio website! In just one page, this portfolio displays everything a potential client would need to know in order to hire this talented designer. 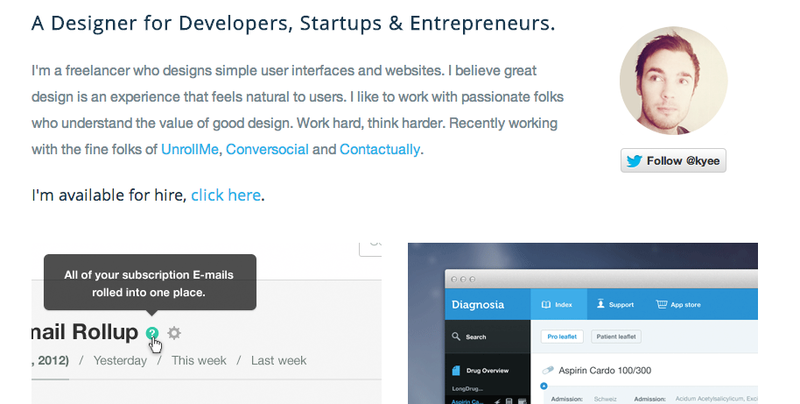 The card style layout of this website is a great example of how to condense your design portfolio into a single ongoing page that makes navigation easy as pie. 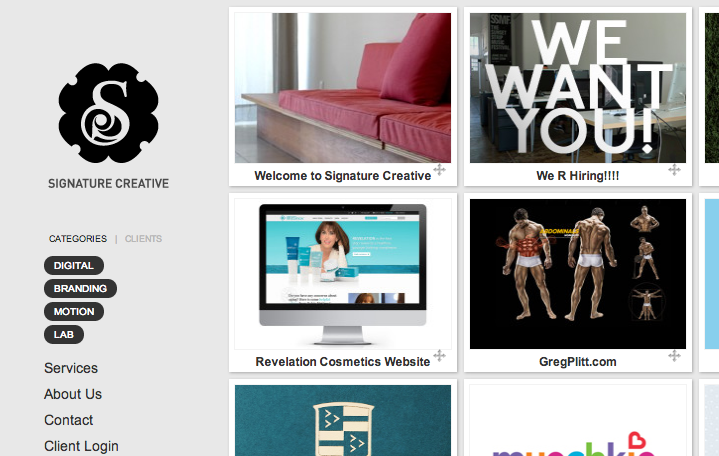 Signature Creative is a digital agency with a beautiful design portfolio website. When you first land on their homepage you’ll notice a full screen layout used to simplify their messaging and guide the visitor. As you click through to view their portfolio, Signature Creative showcases their work by using a card style layout. The depth of their experience and talent are instantly visible. 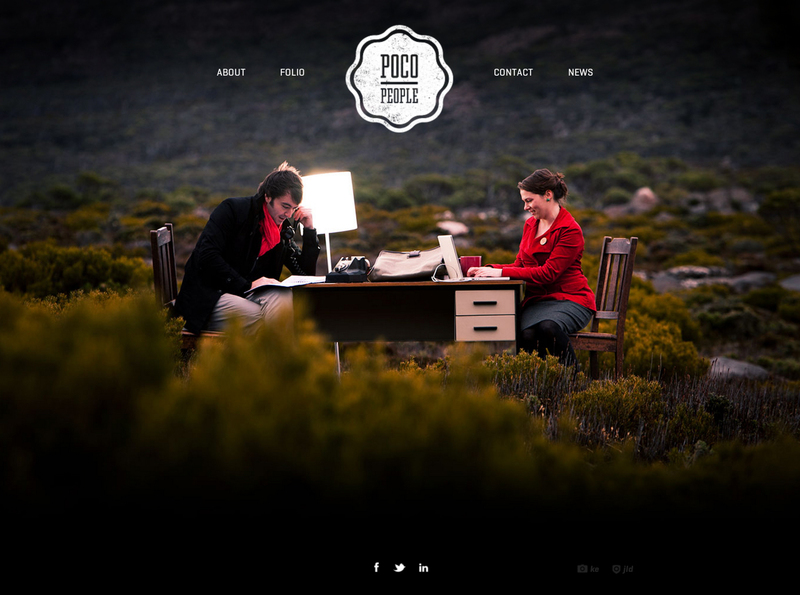 This full screen layout uses gorgeous photography to tell a clear story. With minimal navigation and beautiful imagery this designer shows their work in the simplest way possible! You know exactly what to click to get what you need. Prev: 6 Ways To Workout When You Work All The Time Next: Why educating girls matters so much and what you can do to help, Life Lessons from Tina Fey and more.